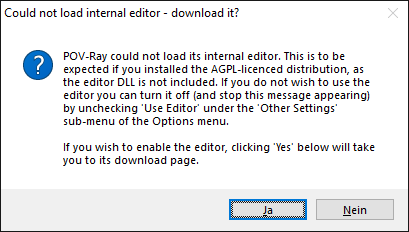 This is caused by the fact that the POV-Ray editor is not included in the installation package that is offered on our Diamond download page (because it does not use the same "AGPL" license) but must be installed separately. This is usually done on the last page of the POV-Ray installation procedure. If this message does not disturb you that much (and you press 'No'), you will be prompted again whenever Diamond launches POV-Ray and you will have to press 'No' again. Otherwise you should either install the editor or to switch off the "Use editor" option on POV-Ray as described here. 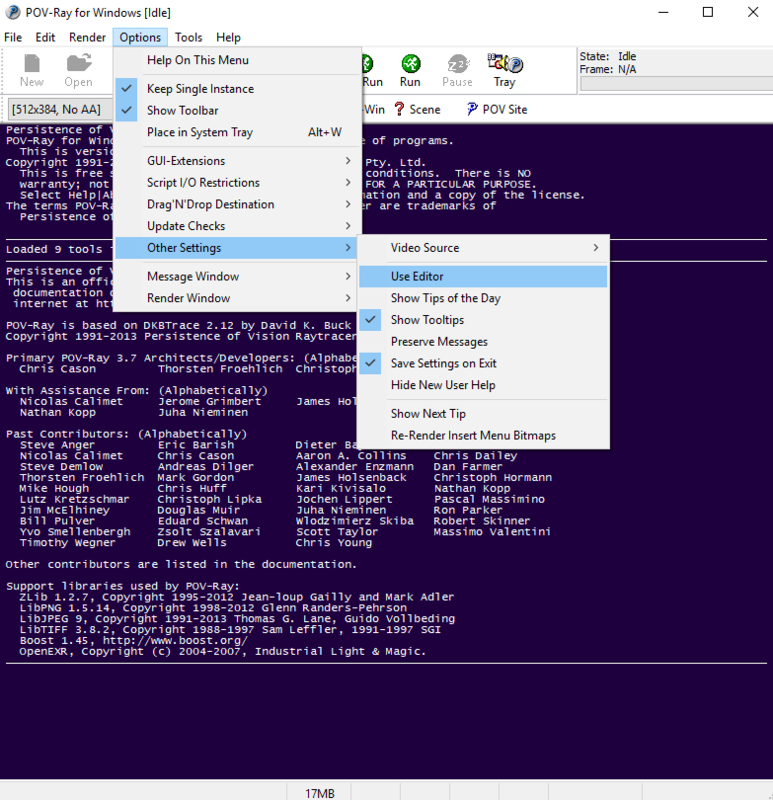 Please note that if you do not install the POV-Ray editor, the Diamond command "Tools/POV-Ray/Launch Environment..." will fail or show an auxiliary POV-Ray window where you cannot edit the POV-Ray scene file.